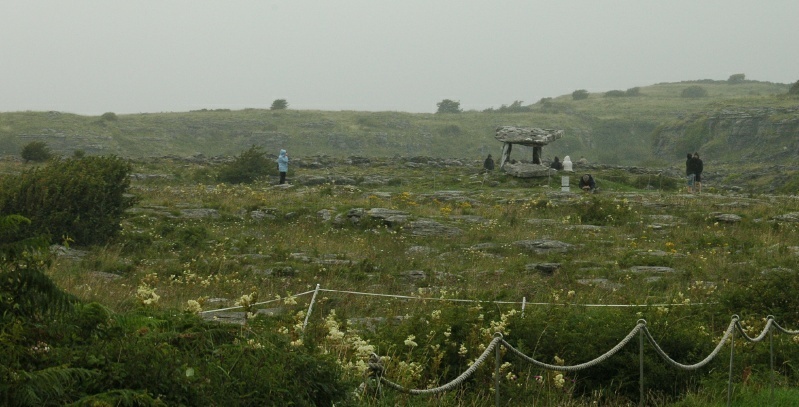 One of the main tourist attractions of the Burren is this, the Poulnabrone Neolithic tomb. While it may look like a Neolithic bus stop, bones of 33 individuals found within it were carbon-dated in the 1960’s to range from 4200 BC to 2900 BC. Limestone karst areas are typically riddled with caves and caverns. Beyond the structure in this picture, we can see a depressed pit which is probably the result of the collapse of such a cave.